On Tuesday, Governor Bill Walker signed into law a bill that will tighten regulations on pharmacy benefit management companies. Those companies are hired by health insurers to negotiate the price of medications between the companies that make the drugs and the businesses that sell them to customers. House Bill 240 had bi-partisan support in the Alaska legislature and support from Alaskan pharmacies. It was opposed by pharmacy benefit management companies, called PBMs, as well as health insurance providers. The bill was originally scheduled for signing at a Petersburg pharmacy in late August but weather kept the governor from flying in that day. Sponsor and Fairbanks Democrat David Guttenberg highlighted the features of the bill that day. “And I hope it works the way that it’s supposed to and that we continue to make changes to make the delivery of health care and our pharmaceutical drugs more cost effective and reasonable and the pharmacists can operate in a way they can talk to you,” Guttenberg said during an appearance at Petersburg Rexall Drug. The bill would prohibit a gage rule in contracts between PBMs and pharmacies. Those prohibit pharmacists from telling customers of a cheaper option for medication if people pay out of pocket. The bill also allows the state to weigh in on disputes over pricing for medication that often left pharmacies taking a loss after reimbursement by the PBMs. 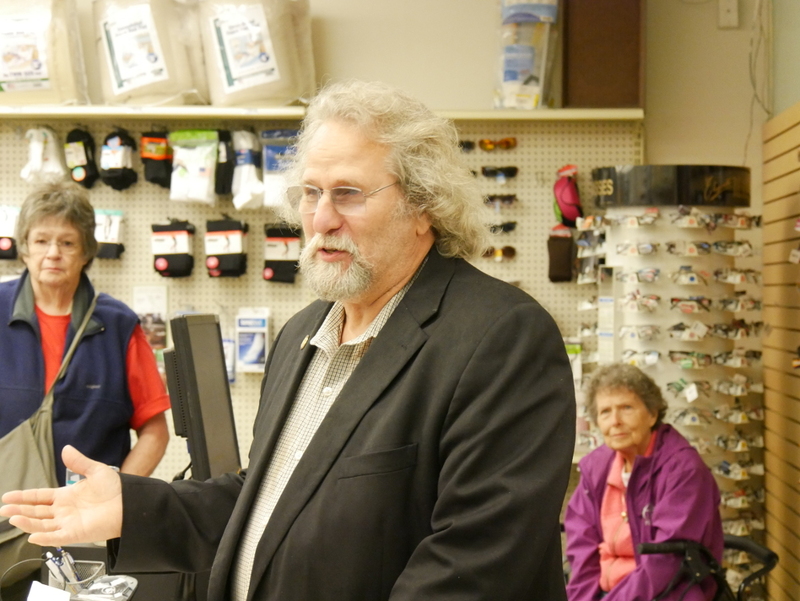 The rescheduled signing took place at Ron’s Apothecary Shoppe in Juneau Tuesday morning.